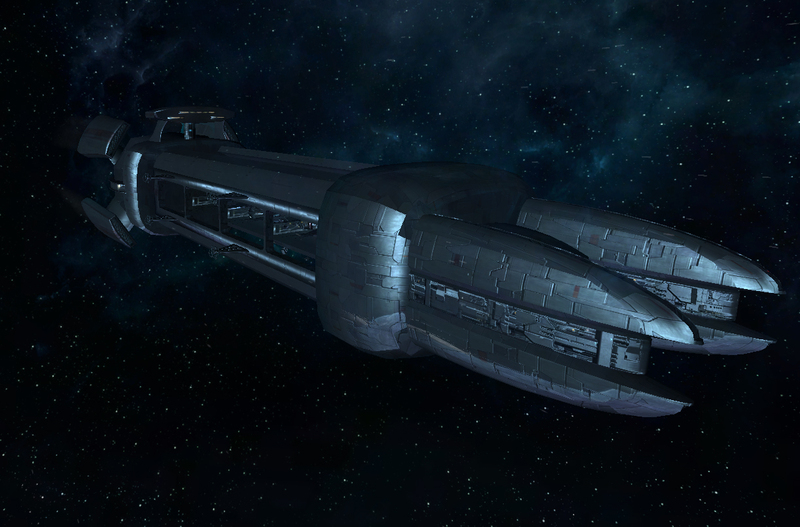 The Yaki Musashi Capture Carrier is the extremely formidable new hybrid fleet carrier fielded by the criminal faction known as the Yaki. 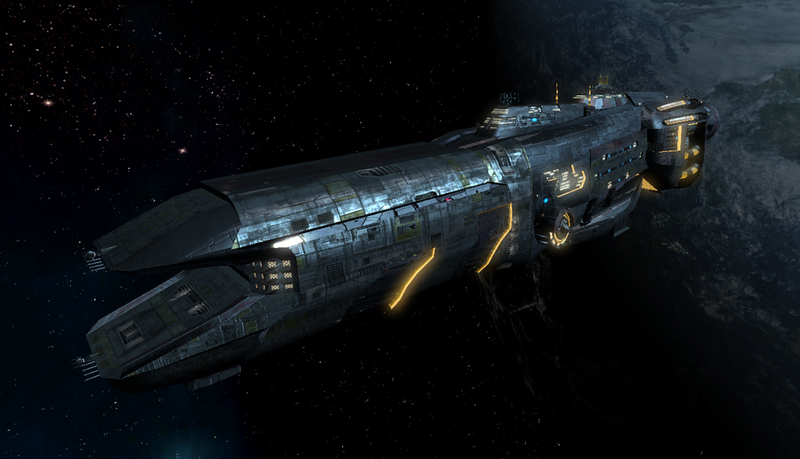 Musashi possess the capacity to initiate boarding pod actions, and is thus meant for use in a direct ship capture role. Faster than any M2 in existence, she can outfight many frigates and carriers capable of catching her. Equipped with Boarding Pods and a sizeable marine contingent, along with the ability to mount stolen Boron shield-suppression weaponry at most hardpoints give Musashi unparalleled ship capture abilities. Her cargo bay is exceptionally roomy to support long patrols--and store captured booty! Her main weakness is her relatively small hangar, which, at 30 ships is considerably below the galactic average. The Daimyo M2 is a controversial new Jager "Hunter Destroyer" recently fielded by the criminal faction known as the Yaki. Unique among known M2's, much of her offensive power is carried in a very large fixed-frontal battery. By mounting weaponry in a main battery instead of in turrets, Daimyo requires less hull integrity and can save space required for turret support. 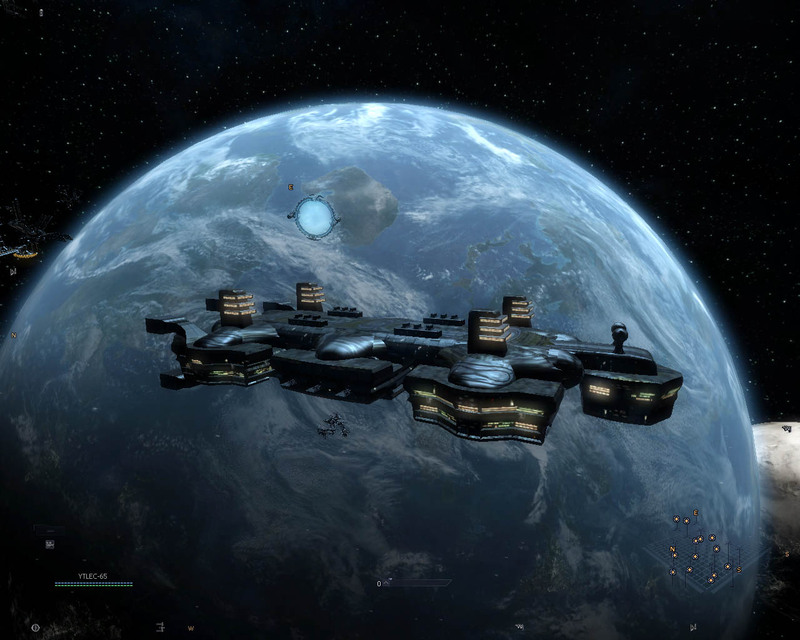 But tactically such an an arrangement requires Daimyo to kill any capital ship opponents in her first pass, or risk a circle fight where she can't bring her main battery to bear. Accordingly, Daimyo is extremely fast and maneuverable for an M2; faster than even some frigates, allowing her to outrun or outmaneuver almost anything she cannot kill outright. 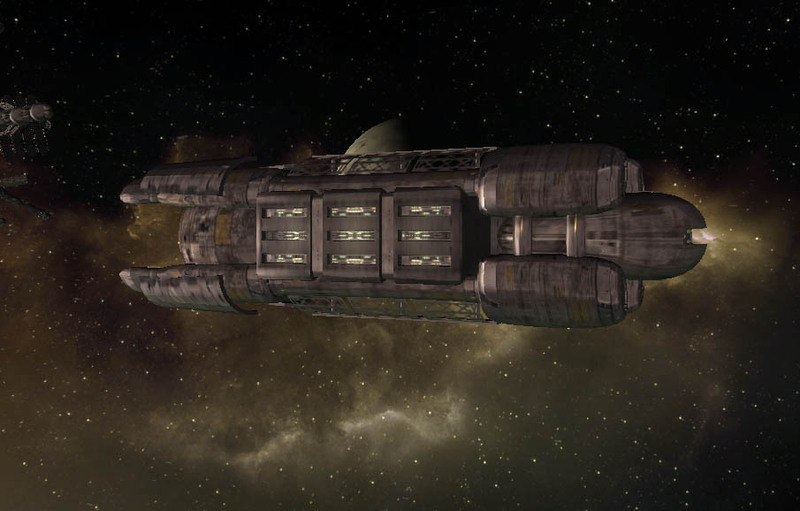 Like most Yaki ships, she is fitted to carry an unusually broad array of captured and reverse-engineered weaponry, and can launch boarding pods for capture operations. Her cargo bay is large enough to support long-range patrols. Best used to prey upon small groups of enemy carriers, frigates, and solitary Destroyers, the Daimyo's relatively weak shielding and weapons energy makes her unsuited for general fleet engagements. Another revolutionary new design from the criminal faction known as the Yaki, the deadly new Shingen class M7 Strike Frigate is fast, extremely well shielded, and carries a powerful fixed-frontal battery of heavy weapons. Unlike any other conventional M7, Shingen carries the sophisticated targetting equipment necessary to use the deadly Flail Barrage Missle. While not equipped with missle turrets--and thus not able to launch multi-missle barrages like a true missle frigate, Shingen's conventional missle launcher can still fire a steady stream of Flails, giving her exceptional long range fighter suppression capabilities. Shingen's five heavy turrets can mount advanced beam weaponry or medium-range conventional weapons like ISR's or IonPG's. A single batttery of two quad "light flak" small calibre weapons on her bow gives her some point defense capabilities. Competitively priced with the two older Yaki M7 classes--the Akurei and Kariudo--Shingen is vastly superior to both. Her main weakness is a comparatively weak weapons generator, which can seriously hamper her effectiveness in extended combat situations unless an appropriate mix of non-energy lasers are used. The Naginata Very Heavy Corvette is an extremely dangerous M6 class design produced by the criminal faction known as the Yaki. Nearly twice the size of most conventional corvettes, Naginata was specifically created to destroy Commonwealth corvettes, including even the formidable the Paranid Hyperion Vanguard, which she clearly outclasses in almost every respect. Naginata, like all modern Yaki designs is able to carry an extremely wide range of often captured weaponry. In her small fixed-frontal battery she can carry heavy weaponry such as Boron Ion Cannons, Pirate Incendiary Bomb Launchers, and even Kha'ak Gamma Kyons which makes her a threat to enemy frigates and capital ships. 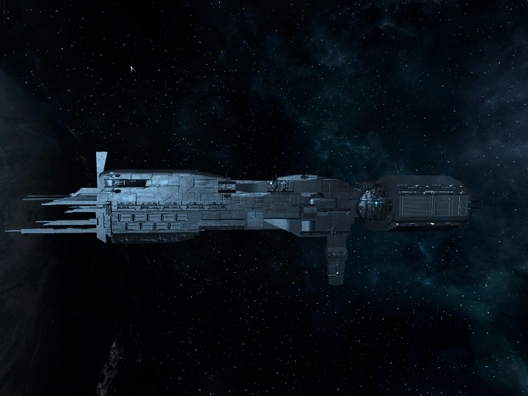 Her dorsal and ventral turrets can mount Flak cannons for fighter defense; and she carries more light and medium weaponry in her remaining turrets. Reasonably fast, very well shielded, and with hangar space for two fighters, the Yaki Naginata is an expensive raider that is absolutely without equal in her class. The criminal faction known as the Yaki have recently unveiled their extremely fast new hybrid TL, the Kyoto Light Carrier. Technically a TL, the Kyoto is far more Carrier than hauler, and is currently the fastest such vessel of either class in the galaxy. Rumored to have been a custom design for a renowned Yaki chieftain known only as "Serial Kicked", the Kyoto is the ultimate mobile raiding platform, being able to outrun all but the fastest Corvettes, as well as many heavy fighters. Her huge cargo bay is rarely used for station deployment, but rather for keeping her raiders provisioned, and storing captured booty. Docking twenty-two fighters in her roomy hangar, Kyoto class vessels can also externally dock M6, TS and TP class vessels for resupply and personnel transfer. 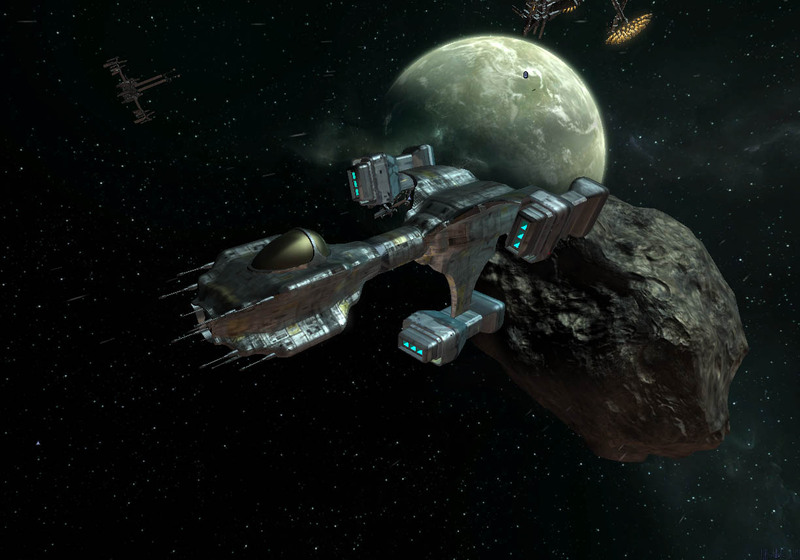 Vulnerable only to attacks from massed medium fighters or Split Corvettes, the Kyoto class uses speed and excellent shielding as her main defenses, and carries only light defensive weaponry. 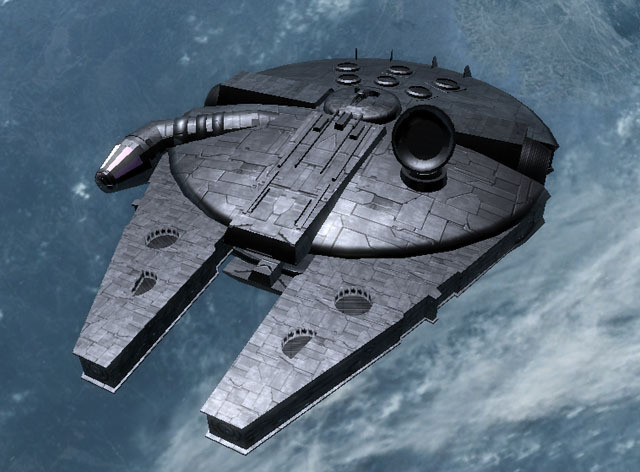 Discovered inside a dust cloud on the fringes of the Elena's Fortune system, the TIE Bomber is an incredibly ancient design of clearly alien origin. 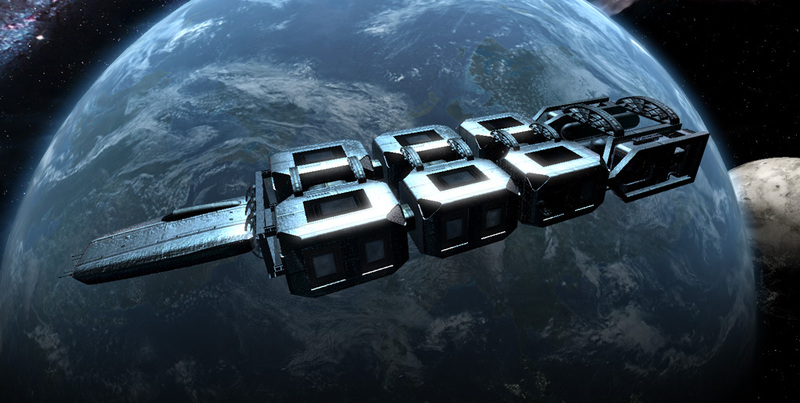 Officially classified as an M3+ VHF, the TIE Bomber is perhaps the most overspecialized combat ship in the X-universe, and has only one function: the destruction of enemy capital ships. 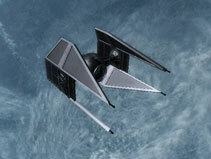 Armed with two fixed-frontal Gauss Cannons and a light chin turret, the TIE Bomber can also use heavy missile varieties used on M8 class vessels. Well shielded and fairly well armored, this cumbersome craft is easily destroyed by fighter craft, and absolutely requires escorts to survive in a combat environment. But should a squadron of TIE Bombers ever penetrate an enemy capital ship formation, they can inflict terrible carnage in very short order. Useless against virtually every other target type, it is not known how widely this specialized craft will be utilized by Commonwealth naval forces. The Wakizashi M3+ is a dangerous new Very Heavy Fighter design of the criminal faction known as the Yaki. Produced just after the Yaki Tenjin M3+, with whom she shares many components, including shield and weapons generators, Wakizashi was created to replace the disappointing Yaki Susanowa M3 variants, that while fairly fast, were under-gunned and under-shielded for Yaki craft. Far more powerful than the Susanowa class, Wakizashi has stronger shield strength than Tenjin as well as being slightly faster. Wakizashi also has strong hull armoring, plus fore and aft defensive turrets. All of these features endow Wakizashi with truly superlative defensive capabilities. Offensively, she can mount an incredibly wide array of energy weapons and advanced missile varieties--including some Kha'ak and Terran weaponry--along with strong weapons generators, all of which give her enormous tactical versatility. Despite her high price, relatively sluggish helm and poor acceleration, this powerful design is an almost perfect VHF. Fighter Attrition rates on high value raids have resulted in a new, strongly defensive M4+ class Medium Fighter design called "Sai", by the criminal faction known as the Yaki. Recently unveiled in a series of spectacular Nividium convoy raids along the Paranid Main, the Sai is a fast, exceptionally well-shielded design that is slated to eventually replace the somewhat inferior Tonbo series. In typical Yaki fashion, Sai can carry a wide range of Commonwealth weaponry--not normally found on medium fighters, and also sports a light back turret. Her back turret mounts light weaponry, including Alpha-kyons and Mass Drivers, providing solid anti-missile and some anti-light fighter capabilities. Using the Yaki Tonbo M4+'s weapons energy generation system and the Yaki Susanowa Raider M3's shield generator has greatly reduced production and development costs for the Sai, making this extremely effective fighter very afordable. Stolen from a high-security OTAS Corporation Research and Development facility, and reverse-engineered and redesigned, the OTAS Eurus M4 is now fielded as the premier new M4 class fighter of the criminal faction known as the Yaki. Called "Shuriken", this extraordinary new Medium Fighter is intended to replace the defensively weak Raijin M4 series. Shuriken is just as fast as most Raijin variants--but unlike them, has a whopping 100Mj of shield strength--greater than many heavy fighters. Capable of carrying a wide range of Commonwealth weaponry, as well as Terran Plasma Cannon weaponry, Shuriken can also mount the deadly Alpha-kyon weapon. Unlike the Eurus, the Shuriken does not have a back turret for anti-missile defense; 'nor is she quite as fast as Eurus. She also only has four fixed-frontal weapon slots. Moderately priced under 900k, the high-endurance, defensively oriented Shuriken will significantly expand Yaki tactical capabilities. The criminal faction known as the Yaki have recently unveiled their replacement for the fast, but otherwise lackluster Chokaro TM. The new Heian TM class Fighter Carrier is an effective new design that uses speed and excellent shielding as her main defenses, and carries only light defensive weaponry. Capable of carrying four fighters internally, Heian has an average sized cargo bay plus the usual TM-class crew quarters for a marine squad plus her fighter crews. 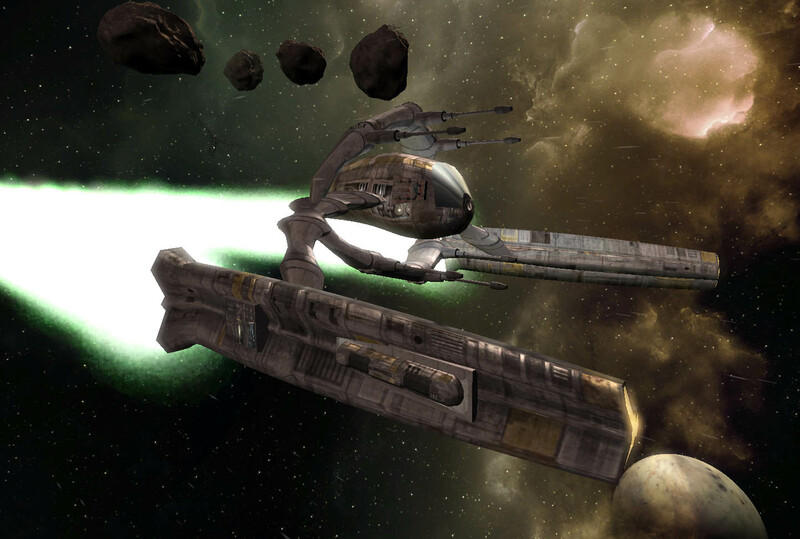 Her three turrets can mount light weaponry, including Alpha-kyons and Mass Drivers, providing solid anti-missile and anti-light fighter capabilities. Using the Yaki Tonbo M4+'s weapons energy generation system provides Heian with weapons energy endurance not found in most other TM class vessels. Designed for rapid insertion and extraction of Yaki fighter flights into "hot" operational areas, the New Heian class leaves other Commonwealth TM class ships far behind. 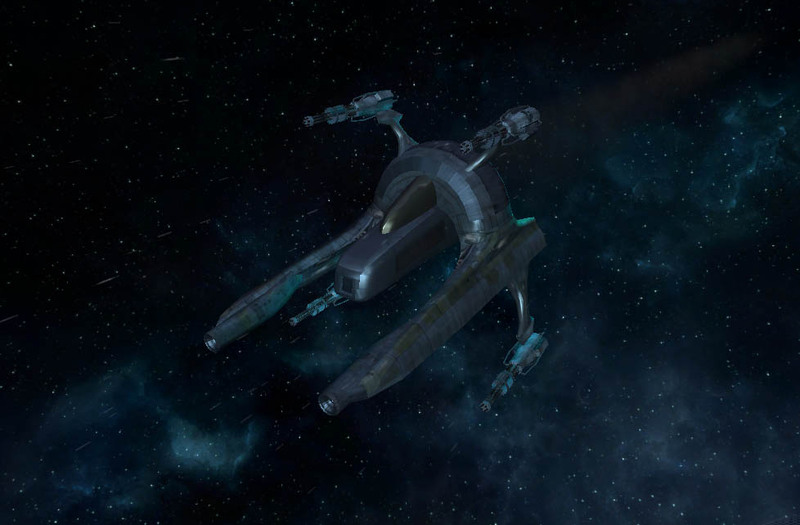 The Amataresu class TP, named after a mythical Terran goddess, is the passenger transport of the criminal faction known as the Yaki. The Amateresu is extremely fast, well-shielded, and fairly well armed, with a rear turret and superior missile capabilities, including Kha'ak varieties. Utilizing the Yaki's still secret Shield Amplification technology, this new TP can project effective shield strength greater than most other TP's currently in existence. Her main shortcomings are her small cargo hold, and her high price. The Yaki primarily use her for shipments of drugs, slaves, and other contraband, but also use her for boarding actions, for which her excellent speed and shielding make her very well qualified. Costing as much as a heavy fighter the small Renegade YT-1300 Assault Transport can earn that sum many times over in the hands of a competent pilot. Enemy corvettes, TM's and TL's are her preferred prey, and with a supporting fighter or two to take down a target's shields, all a Renegade has to do is swoop in and launch her complement of marines to capture a high-value prize. 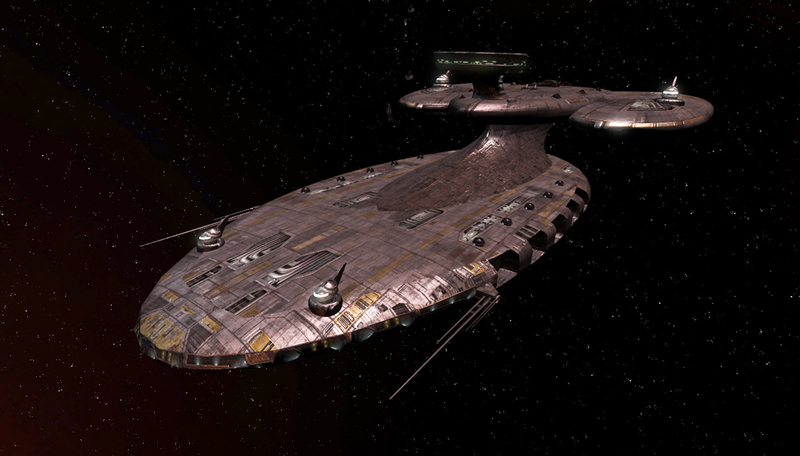 To this end Renegade class vessels are very fast and well shielded, and unlike conventional TP's have fighter-sized weapons generators for defensive turrets and a frontal Ion Disrupter battery. Properly assisted, a Renegade is an outstanding capture specialist, despite her less than roomy hull and high price tag. This ship is a pirate design "requisitioned" by the Yaki several jazuras ago, and manufactured at their experimental shipyard. Desperate for a TS class ship, the Yaki looked for a simple design that would be easy and cheap to build. 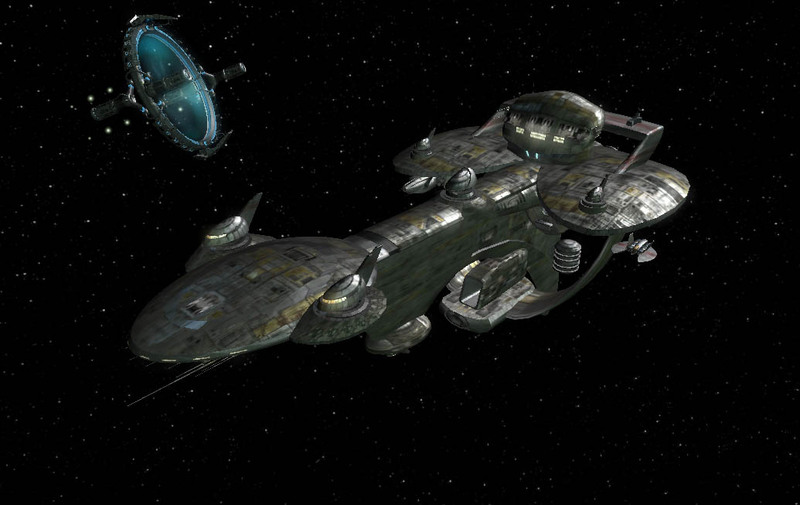 The Charon TS is a simple Yaki "knock-off" of the Paranid Persephone class of TS cargo transports. The Tie Interceptor is a strongly offense-oriented design whose function is to catch--and kill--enemy light and medium fighters with energy weaponry. 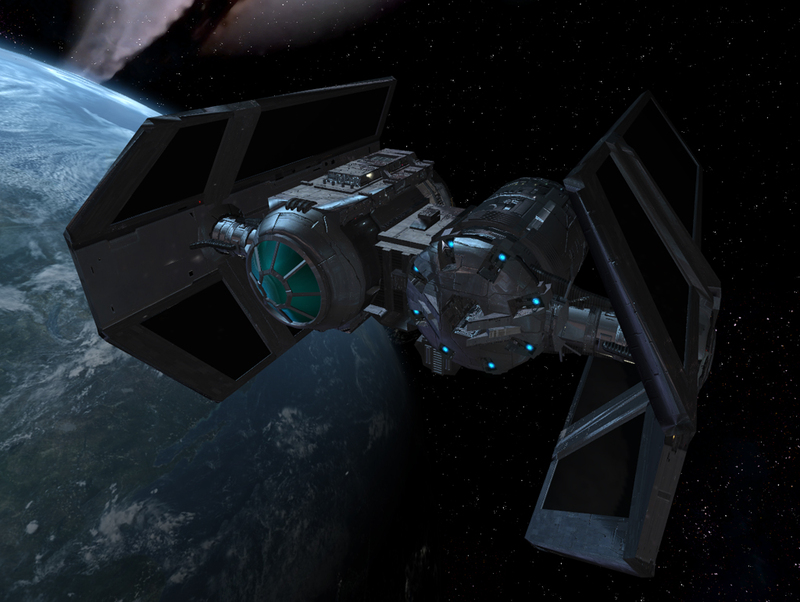 Capable of mounting up to four Alpha Particle Accelerator Cannons, the TIE Interceptor has the largest weapons generators and capacitators of any M5 ship. All of this offensive muscle comes at the price of greatly diminished cargo capacity, however, and TIE Interceptor can only carry the small Duplex Scanner, and a very limited missile inventory. Her small cargo hold also limits her capacity for long-range scouting--something the older Pegasus class excels at. Expensive compared to the weaker but more versatile Pegasus variants, it is not known how widely this new scout Dartfish will be adopted within the Paranid armed forces.